I pushed the button and have one on the way. I'd appreciate opinions from anyone on what is the best trigger to get. If you want to spend ~$70, then RSA adjustable. Red Star Arms. If not, then modify a $30 G2 Double hook forover travel , and ad a spacer to limit pretravel. Polish everything that needs polishing. 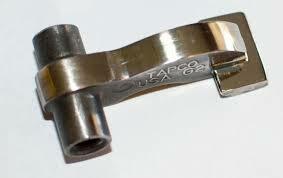 It is not necessary or beneficial to remove the second hook as shown here. 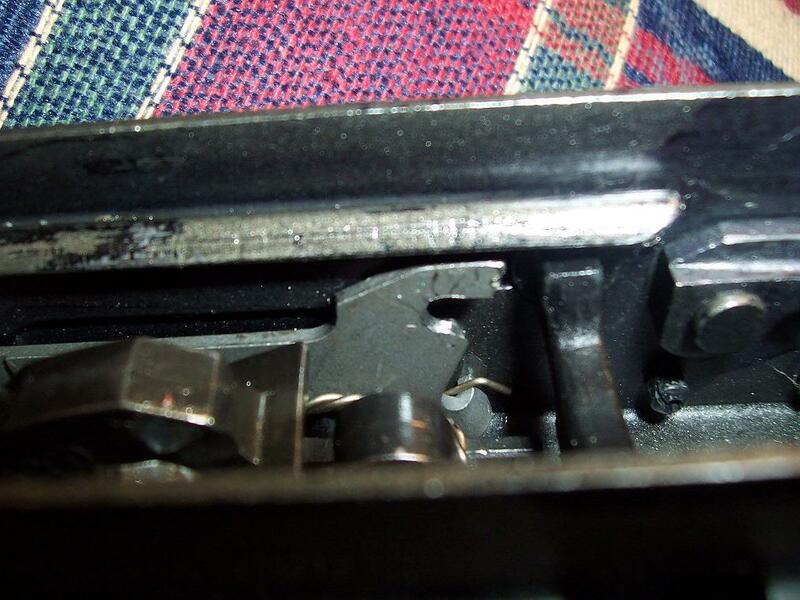 mainly, cut the step in the front, and use a washer on your trigger guard screw to control the pre-travel where it shows to add material by welding. Most people here use a tapco G2 and haven't tried anything else, so that is what most are going to say. Absolutely nothing wrong with the g2. Actually it's leaps and bounds better than 95% of other assault rifle triggers. Saigas arnt meant to be bench rest rifles, a g2 is an excellent combat trigger. I didn't say anything is wrong with a G2. I said RSA is nicer. It is. It is easily adjustable for many things, and has noticibly better machining. It is smoother out of the box, but I would polish any trigger on a very fine diamond hone before installing anyway. You can set it up for single or two stage pull, and adjust how much tension the disconnector spring has. It comes with the spring too. While you can make a g2 pretty nice, you can't do that stuff with one. It can also be adjusted for safe operation with a shorter overall trigger travel than can be done with a G2. My IZ108 has a nicely modified double hook G2. I answered the OP's question: Which is nicest. There are plenty of adequate triggers, and he wants a nice one. With the modification, it is acceptable to me, and feels nicer than most AK triggers I have used. I can make do with lots of triggers, but I prefer a nice one. To me, bench rest rifle or shotgun, a nice trigger is better than a rough sloppy stiff one with a long pull. Other people don't care and that is fine too. 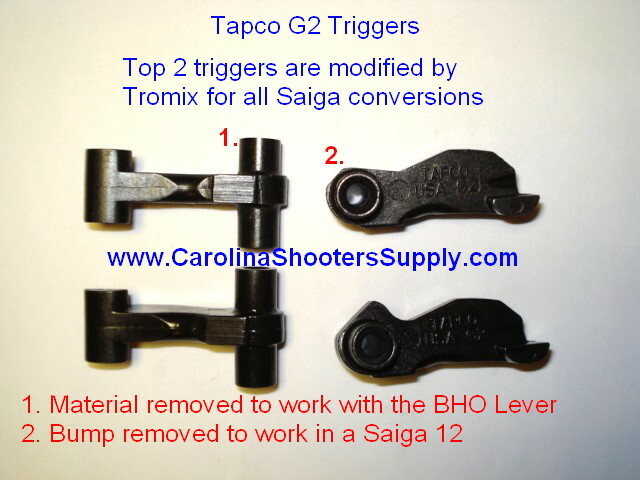 Extra info: other choices are TWS trigger which owners say good things about those. The consensus seems to be that Arsenal's trigger for the S12 is not as good as the cheaper G2. I don't own one so I can't give personal experience with either of those. I thank you both for taking the trouble to answer. As a side note, the T-rex doing pushups really made me howl with laughter. 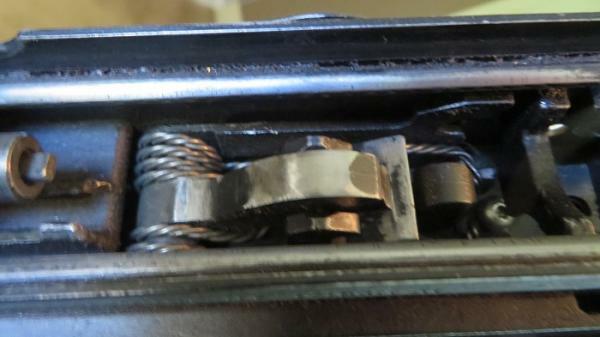 Anyway, here are some crummy pictures of an RSA trigger group. 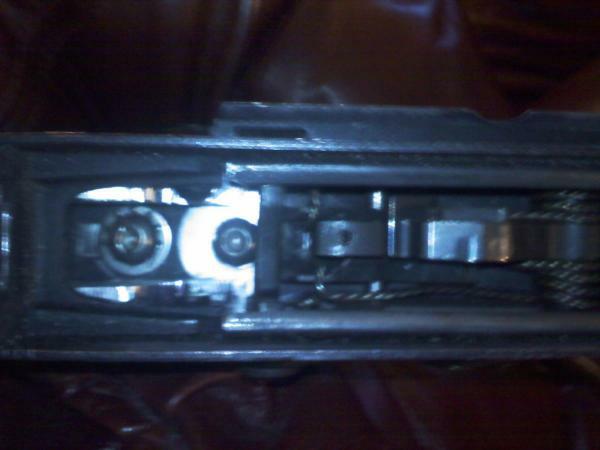 The bit you need to see is the silver washer that the trigger can rest on in the back. I could not get good pictures in the IZ108 with modified G2, because I used a square piece of steel painted black to match into the receiver. It is in the same place as the fender washer. Anything metal will work there if it is the right thickness and you have a simple way to keep it stationary. 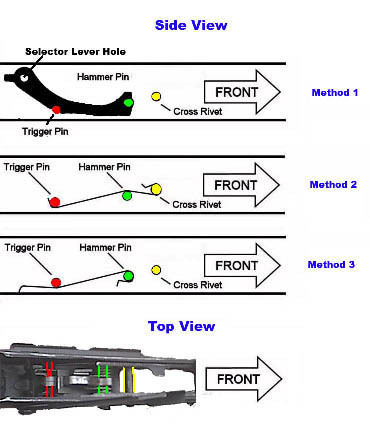 IMO the easy way is to use the rivet or screw that holds the back of your trigger guard on the outside to hold the spacer on the inside. I have the RSA on a 308 saiga and love it. 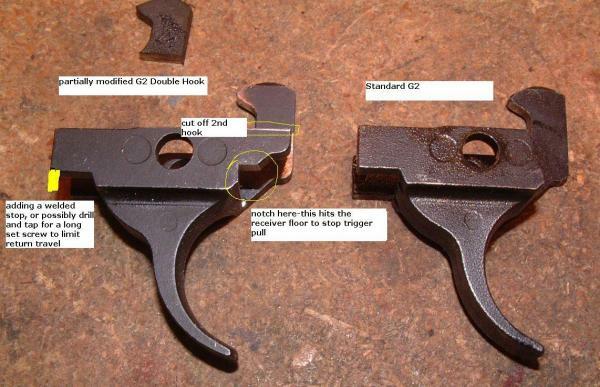 It's a great two stage "match" trigger, but I used the G2 on a 223 saiga and saiga 12. The modified G2 on mine is clean, crisp, and breaks the same every time. Both RSA and G2 are well worth the money. Red Star all the way. Just because this question often comes up at the same time, here is Chile's picture of what needs done to your BHO. 1) keyhole for safety to pass through. 2) notch for spring to stay put. oh. he didn't do this one. It's pretty simple. take a sharpie and draw a line where the spring rests on the BHO. 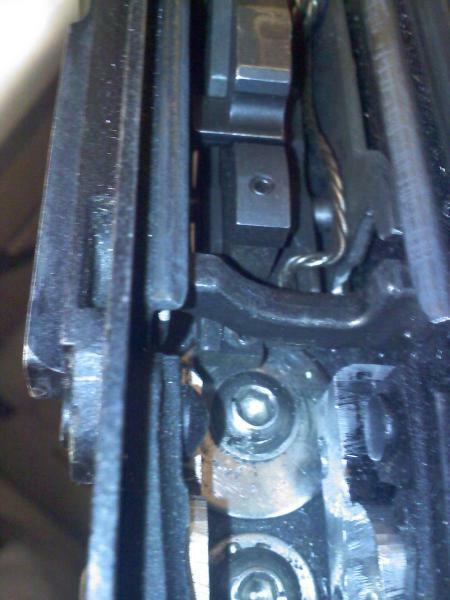 then take a hacksaw blade or dremel disk and cut a slight groove so that the spring cannot move. I just did this mod today to my 7.62 and S-12, but used a piece of .060" kydex I had laying around. So far so good. May or may not replace them with washers or a sheet metal square. I would advise sheet metal for durability. 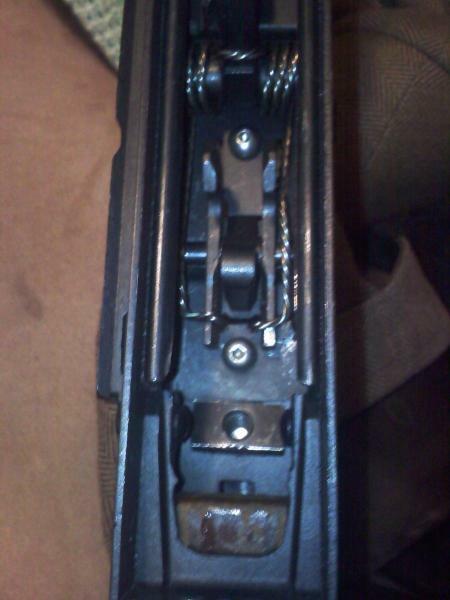 Not that I really expect the kydex to fail, but a piece of metal retained by rivets or your PG nut isn't going anywhere. 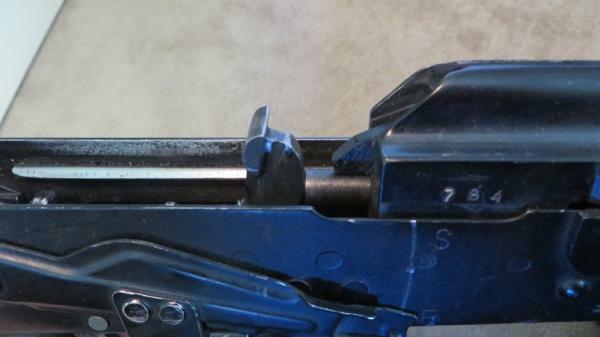 I used the bolt at the rear of the trigger guard to hold it in, much like your washer pic. However when I did my conversion, I drilled the hole for the rear of the trigger guard a little too far forward, and I couldn't get a washer in there. I could easily make one out of sheet metal though. I used a Tromix modded Tapco G2, and installed a set screw in the rear of the trigger guard to act as an "adjustable trigger set screw." Works like a charm and was dirt cheap. I have a Dinzag arms two-stage on most of my Saigas; they work wonderful. I am working on a DMR build and probably going to use an RSA, just because I want short creep and a light pull across the second stage. You will be pleased with RSA. If you have a fine ceramic knife sharpener, give it an extra polish before installing, then follow the directions to the letter. I also suggest doing doing a brief range session attempting to simulate an unintentional bump fire, before using the loctite. Don't go too light on the disconnector spring tension. I'm going to stick these pictures from google image here to give a clearer idea of what portions of the hammer to address. Note that you really aren't removing any material from the little patch that strikes the firing pin. Just the surfaces on either side, and maybe a little to square it up to the bolt's tail. I've been pointing people to this thread for a while, and it was lacking the pictures I thought I had stuck in here. 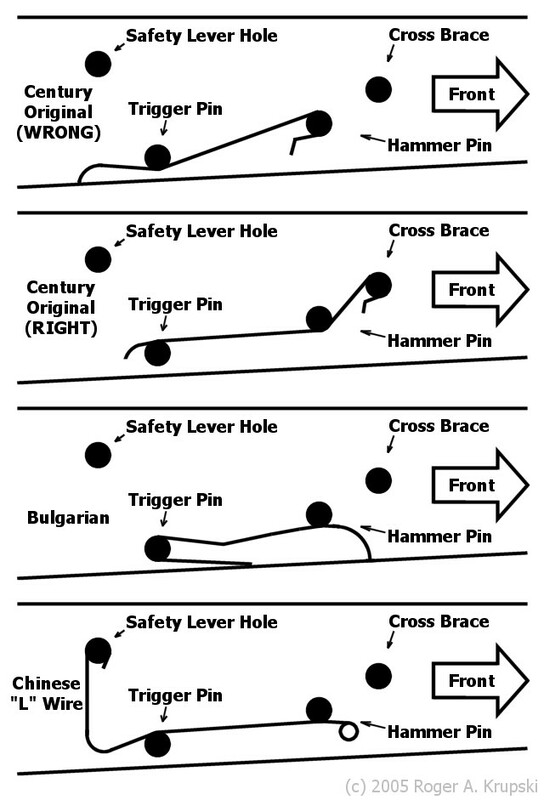 Note that tromix and other drop-in triggers don't smooth resistance from the hammer, they just remove the bumps that keep it from being able to swing, and shorten the axle. And the axle is shortened one-size-fits-all. In some guns that can allow for sloppy fit of the BHO level allowing excess side play and some problems. People get mad at the BHO and rip it out, but really a hand fit of the axle or a washer to remove the slop would solve their gripes. I read an article in rifle firepower I think it was about modding a normal trigger into a 2stage like trigger. I cant remember exactly how they did it buy it ended up that as you pulled the trigger at the last bit the disconnector would touch the hammer and cause a slightly heavier pull atthe last bit of take up. It's pretty straight forward. Basically all AK triggers are 2 stage unless you tune the disconnector to eliminate the second stage. But most are too crude to be a nice crisp second stage. 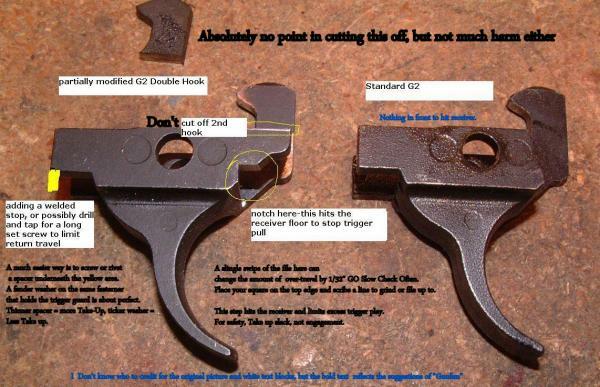 Take off the dust cover and slowly dry fire your trigger group. 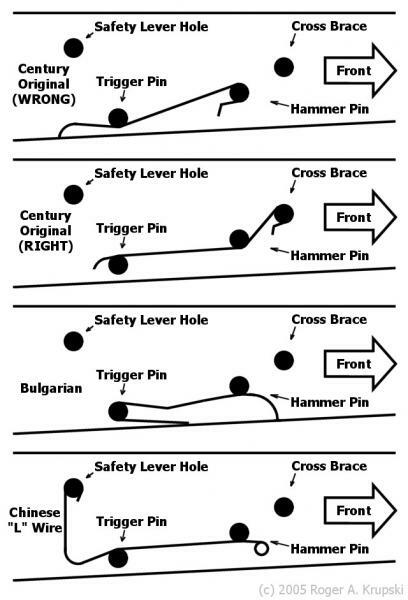 You'll see a point during the trigger pull where the hammer is still on the hook(s), but you are pushing the disco out of the way. That's stage 2. It depends on what you intend for the rifle. I prefer the Dinzag Arms trigger for general use and battle rifle configurations. It is simple, and has a crisp second stage. Only downside is a lot of creep, by most people's standards (normal by ak standards). For a DMR, I recently purchased my first RSA trigger. It took quite a bit of time to get it adjusted exactly the way I wanted it, but was well worth it. Short creep, light pull, not as crisp a second stage as I would like, but it works, works well, and helps make for a more accurate rifle. Hammer pics were too big to upload. Here's another one off of google. This one is OK, but a little slim, and has a lot of superfluous polishing in unimportant areas. 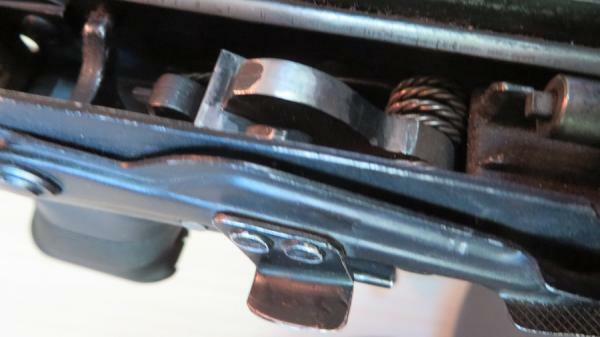 You want a little more meat so that the strike face hits squarely on the bolt tail, and also so that the hammer wing goes well past the disconnector as the carrier slides past. Here are some pictures I just took out of one of mine. Note how when it is in the fired position there isn't a gap at the top or bottom of the bolt tail. Also only the areas that contact things have any polish work to them. A few more comments: I've polished and trued things that matter, but not things that are just for looks. So: Top, underside and edge of receiver rails. The last picture shows a few scratches left from their press brake, but the carrier glides smoothly past these. No need to thin them more to go further. 800 grit was more than plenty. Casting ridge removed from hammer wing in the center. Flattened, polished trued. Ditto for matching surface on disconnector. Ditto for hook and the part of the wing which engages the hook. The hammer face is still kinda fat, but it's smooth where it counts. The shape is optimized for it to move as little as possible throughout the carrier's travel. Over grinding leaves a bad strike angle, no room for wear, and has it moving up and down a lot as the carrier goes by. The reason I went that route was because I sent my S223 away for one of those AR to AK mag conversion and I don’t know if they used permanent Loctite on the trigger guard screw or not so this seemed like a decent option so I didn’t have to disturb the threads. It came out well. Thanks for the detailed write up otherwise I would not have not attempted this. I functioned tested and I’m seeing safe operational limits in both directions. 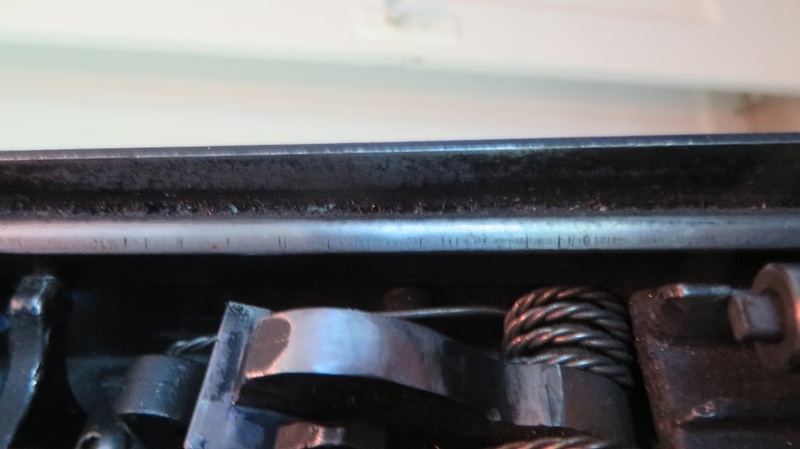 My Tapco G2 (trigger job by Cobra) pulled at 3.5#, and I just put in a JTE reduced hammer spring and it's now 2.25# and still 100% reliable with Federal. It's pretty ridiculous for a combat shotgun but hey, I'm not complaining about an awesome trigger. That is compared to my Mossy 590 with a 7# trigger.